CLEVELAND - It's getting to be that time of year. The gutters are overflowing with leaves, and your better half is bugging you to get off the couch and clean 'em out before she cleans your clock. Wait! I know a great escape. Grab your sticks and head to one of the following golf courses for a quick round. Yeah, I know it's cold, but it's not as frigid as she is. Besides, what else are you gonna do? Play around with your pumpkins? As long as Old Man Winter hasn't taken a dump anywhere yet, these tracks will be open for business. Time for you to clock in! 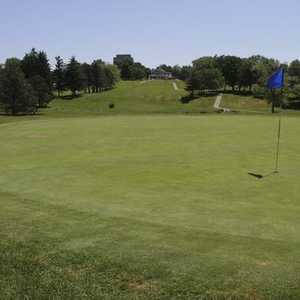 This public golf course is popular among golfers who live in the western suburbs of Cleveland. It features 27 holes, including a new "Legacy" nine that puts the other two 9-hole courses to shame. The original three nines were never maintained very well, but since a new housing development was constructed, standards have been raised significantly (at least on Legacy). The huge new clubhouse is a lot more elegant now, too. As long as there's no snow on the ground, they're open. Winter rates are as follows: $10 for 9 holes on original course (#1 and #2 nines), $15 with cart; $22 for 18 holes with cart on original course; $20 for 9 holes with cart (mandatory) on Legacy Course, $29 for 18 holes. Word-of-mouth works in this golf course's favor. So does a website where you can register and print coupons for discounts. Word is this public course is well-maintained and challenging. You can play the course year-round - provided there is no white stuff to be seen. And if a blizzard has dumped eight inches on the ground, don't fret - the course has seven indoor golf simulators to satisfy your itch. Winter rates are as follows: $10 for 9, $20 for 18 weekdays; $15 for 9, $25 for 18 with cart weekdays; $12.50 for 9, $25 for 18 weekends; $35 weekends with cart. 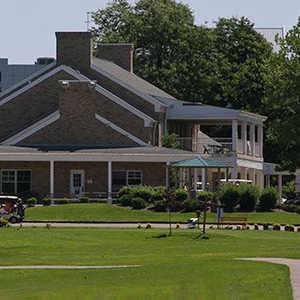 The driving range at this public course was rated one of the top ten in the country and number one in the Midwest by Peterson's Golfing Magazine. It features thirty covered and heated tee boxes and is open regardless of whether or not there's snow on the ground. The course, a shotmaker's track with small, difficult-to-hit greens, is open for play during the milder days of winter. Rates are as follows: $26 for 18 holes with cart, $17 for 9 with cart weekends or weekdays; seniors $20 with cart, $13.50 for 9. Only in Cleveland could you find a golf course designed by a duo known as the "Kucharski brothers." Other oddities are that the snack shop and pro shop are one in the same, and the ladies tee off from the same set of tees as the men. Laura Davies would appreciate that. She might also appreciate that this course subscribes to the "40-degree rule" - if it's 40 degrees or higher, golf is in session. You might try your hand at figure skating on the lakes and ponds that come into play on several holes. No. 13, a 435-yard par 4, offers some drop-dead gorgeous scenery. Winter rates are as follows: $15 for 18, $10 for 9 weekdays; $20 for 18 with cart weekdays; $17 for 18, $10 for 9 weekends; $26 for 18, $14 for 9 with cart weekends.